Some caves glow with a blue light, one is compared to the Grand Canyon, while another is the breeding ground of endangered sea lions. In 1887, an English surveyor and a local Maori Chief chose to explore the Caves of Waitomo. Using a small raft, they followed the stream underground and navigated the caves using candles for light. The two men suddenly saw many starlike lights shining above their heads. 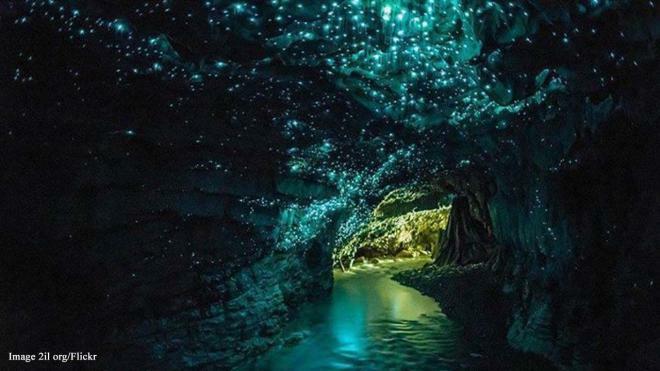 The light comes from thousands of glowworms on the roof of the cave giving a bioluminescent glow. A type of fungus gnat hangs from the roof on strings of sticky mucous. Later a land entrance was found which visitors use today. The Marble Caves were formed by more than 6,000 years of waves crashing up against the calcium carbonate, forming the smooth, swirling cavern walls, which reflect the blue of the water. The colour and hue of the marble changes depending on the water levels and the time of year. 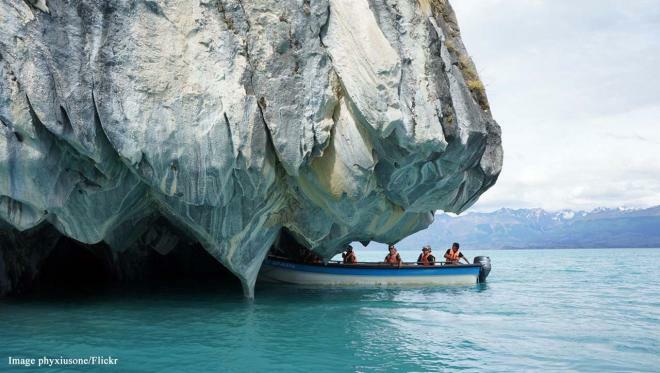 The caves are only accessible by boat and thirty-minute tours are offered by a local company between September and February when the ice on the lake melts.